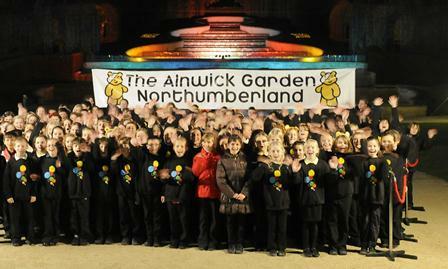 Situated at Alnwick Castle in North Northumberland, Alnwick Gardens acted as an official host for this year’s BBC Children in Need appeal. Gorilla Media were delighted to donate signage for the occasion. The AdBanners were used as a backdrop for the children’s choir to display the location during the National BBC TV coverage. This year’s appeal has so far raised over £26 million.